The theory of training was established about five decades ago when knowledge of athletes’ preparation was far from complete and the biological background was based on a relatively small amount of objective research findings. At that time, traditional ‘training periodization’, a division of the entire seasonal programme into smaller periods and training units, was proposed and elucidated. Since then, international sport and sport science have experienced tremendous changes, while the traditional training periodization has remained at more or less the same level as the published studies of the initial publications. As one of the most practically oriented components of theory, training periodization is intended to offer coaches basic guidelines for structuring and planning training. However, during recent decades contradictions between the traditional model of periodization and the demands of high-performance sport practice have inevitably developed. 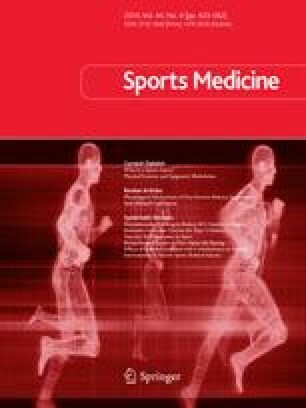 The main limitations of traditional periodization stemmed from: (i) conflicting physiological responses produced by ‘mixed’ training directed at many athletic abilities; (ii) excessive fatigue elicited by prolonged periods of multi-targeted training; (iii) insufficient training stimulation induced by workloads of medium and low concentration typical of ‘mixed’ training; and (iv) the inability to provide multi-peak performances over the season. The attempts to overcome these limitations led to development of alternative periodization concepts. The recently developed block periodization model offers an alternative revamped approach for planning the training of high-performance athletes. Its general idea proposes the sequencing of specialized training cycles, i.e. blocks, which contain highly concentrated workloads directed to a minimal number of targeted abilities. Unlike the traditional model, in which the simultaneous development of many athletic abilities predominates, block-periodized training presupposes the consecutive development of reasonably selected target abilities. The content of block-periodized training is set down in its general principles, a taxonomy of mesocycle blocks, and guidelines for compiling an annual plan. No sources of funding were used to assist in the preparation of this review. The author has no conflicts of interest that are directly relevant to the content of this review.